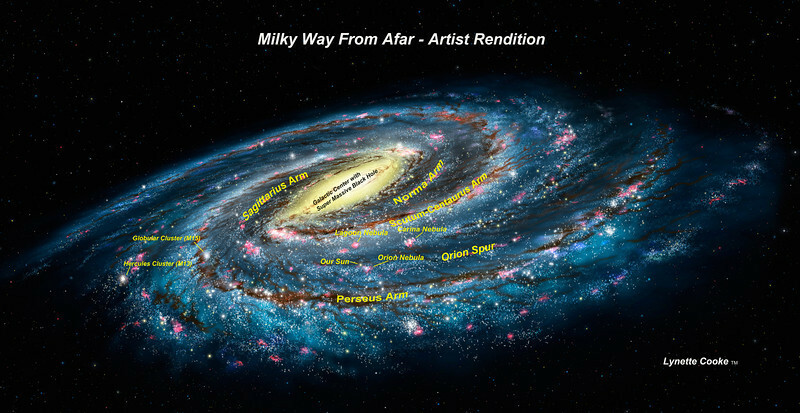 Artist rendition of Milky Way. I added location of a number of items, based on graphics from Astronomy Magazine. This was included in Hudson Exhibition in 2012 for educational purposes and can be compared to the ESO photograph of the Milky Way also shown there.